Friday evening my family began the celebration of our first Feast of Unleavened Bread, also known as Passover. I was able to find a Haggadah that had a messianic perspective. The Haggadah is a book that the leader of your celebration, in this case my husband, reads and follows for the ceremony. We only read the main portions of the story and the prayers. But I can see that next year, as part of our homeschool, we should begin reading the entire book before the Feast is upon us. There was SO MUCH history included in it. There was SO MUCH prophesy that clearly pointed to Yeshua HaMashiach. For my family's Feast of Unleavened Bread I prepared a small leg of lamb roast. I had not yet read all the biblical requirements and so I did not know that the lamb was to be prepared whole over fire. Next year, hopefully we will be in a position to do this according to the scriptures. I prepared it with rosemary and cilantro (bitter herbs) and some canned peaches. I cooked it all day in my slow cooker. I turned it every few hours so each side had some time in the juices. And it came out beautifully. I prepared matzah, or unleavened bread. I prepared the charoset. This is a mixture of fruits, nuts and wine. I used apples, raisins, almonds, sunflowers, and pistachios, and some of our wine that would be used for dinner. Chopping finely (or pulsing in the blender) you mix it all together to make a thick spread, somewhat like jam (think thick, chunky salsa). I prepared the seder plate, with the whole bone of a lamb or goat (I used a bone from my dear Sam), lettuce leaves (bitter herbs), salt water, and horseradish (VERY bitter herbs). I did not prepare the hardboiled egg. I was unsure about its appropriateness to the celebration. As we are trying to celebrate the Biblical Feasts and do them ACCORDING to the scriptures, I was concerned that this was a pagan vestige to the worship of the fertility goddess and spring. Some of the Haggadah's that I read did indeed specifically say the egg represented fertility and spring. For the children I prepared grape juice, and for my husband and I, I provided some wine. As I read the Haggadah, I saw that we were to eat the passover in a reclining position. This was so that we could relax and rejoice that we were free and not slaves anymore. We were allowed to relax and eat at our leisure. So I prepared our 'table' on the floor. I laid out lovely, richly colored blankets, and many pillows for each person to rest upon. I set the candles, the matzah and the seder plate in the middle. I also prepared an extra place setting. The Hebrew people set a place for Elijah. The scriptures foretold that Elijah would come before the Messiah and proclaim him. The scriptures foretell to us now that Two Witnesses will come before the Messiah returns. (Maybe I should have set two place settings. 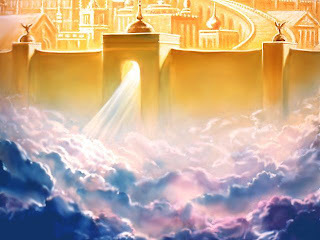 :) ) This symbolizes our EAGERNESS for His coming. As my husband read the ENTIRE history of the Hebrews from creation to their exodus from Egypt, and then tied each tidbit to the prophetic coming of the Messiah, I was overjoyed. I wanted my family to delve into the Word. I wanted my family to understand how the story was the same from beginning to end. I wanted my family to learn and understand the importance, and the relevance of the Messiah to each of us. On the night of the first Passover, the people of God huddled in their homes, marked by the blood of the sacrificial lamb. The Angel of the Lord, Yeshua, came with the destroyer, and any house NOT MARKED was struck that night. We too have a destroyer in our midst. And we too have a sacrificial lamb. The perfect sacrificial lamb, without blemish, without sin. Yeshua shed his blood. Accept it. Be MARKED by it. When the destroyer passes by, Yeshua alone can save. 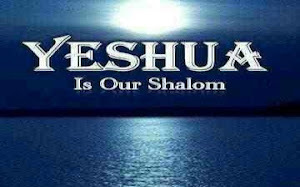 Yeshua alone. And in the hopes that He comes quickly, I raise my glass in the Jewish toast, "Next year in Jerusalem!" "He which testifieth these things saith, Surely I come quickly. Amen. Even so, come, ADONAY YAHSHUA. The grace of our ADONAY YAHSHUA MASHIYACH be with you all. Amen." Many bible verses speak of the Feast of Unleavened Bread. Here are many other links and resources if you would like to know more about the celebration of this Biblical Feast.